The European Capital of Culture 2017, Aarhus is the second largest city in Denmark, found at the geographical centre of country, on the east coast of the Jutland peninsula. Aarhus was founded by Vikings in the 8th century and gained its city status in the 15th. It is named after the Aarhus River, which flows through the centre of the city. More recently, Aarhus has shown itself to be popular with a younger demographic, as it has continued to grow as the centre of culture and trade in the Jutland region. Visitors to Aarhus should find time to check out the city’s world renowned museums. 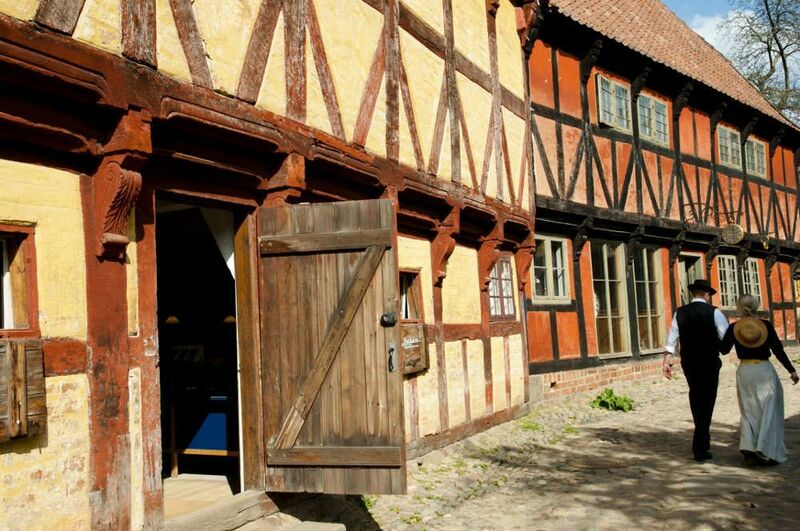 Den Gamle By (The Old Town Museum) is a National Open Air Museum of Urban History and Culture. It gives its visitors a first-hand look at what life was like in a traditional Danish market town. Interact with the animals and help out the maids. A wonderful multi-sensory learning experience for all ages. The ARoS Aarhus Art Museum boasts two Michelin stars and offers a spectacular 360 degree view of the city. Lovers of natural history shouldn’t miss the MOMU Moesgaard Museum in a stunning locale just south of the city. Aarhus also offers Tivoli Friheden, a theme park with 4 rollercoasters within walking distance of the city centre, and Musikhuset Aarhus, a concert venue with plays host to fantastic Danish music and live performance. 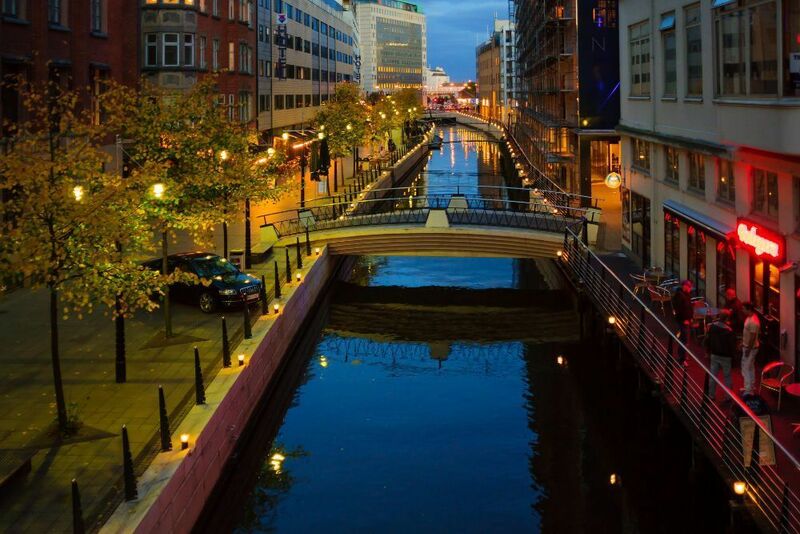 Walking tours are the best way to get to know the city, and with all the following free of charge, are a cost cutting introduction to the sights and sounds of Aarhus. This self-guided tour begins at the Natural History Museum and takes in 5 more of the best museums Aarhus has to offer. The walk alone is 2 hours but will take much longer if you stop to see the exhibits. Luckily this tour is self-guided so you have no restrictions on movement other than the opening times of the museums on the route. This tour’s route can be downloaded for use offline via the ‘GPSmyCity: Walks and Articles with Offline Maps’ app. This self-guided tour is one for the party animals, taking in the best of Aarhus’ bar and club scene. Why not walk it during the day and plan your evening’s activities? It is only an hour long, beginning at Train and ending at Café Paradis. This tour’s route can also be downloaded for use offline via the ‘GPSmyCity: Walks and Articles with Offline Maps’ app. Below you can find more popular (but not free) activities and tours in Aarhus. Are you from Aarhus and want to be a tour guide? Please get in touch by submitting your details on this page!